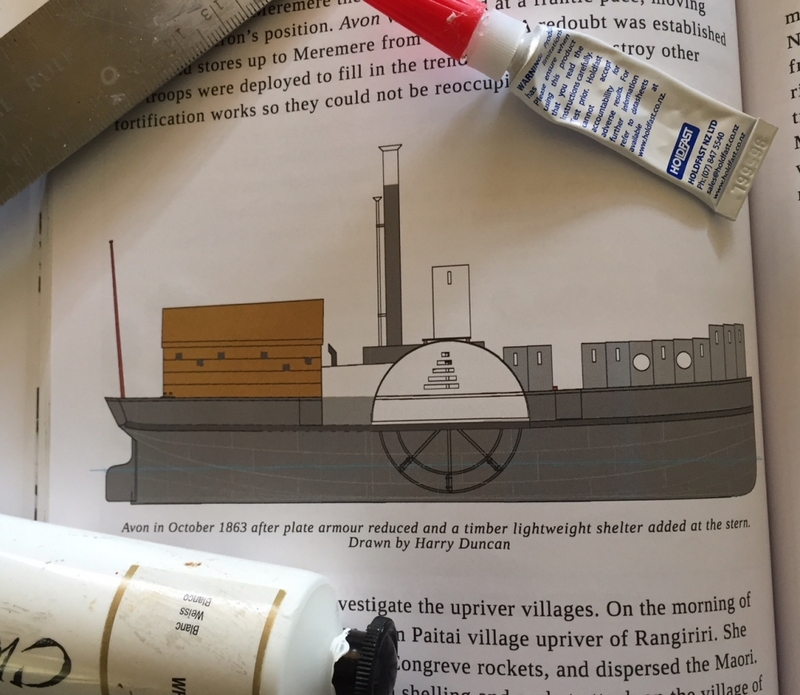 My project to make a model of Her Majesty’s Colonial Ship ‘Avon’, one of New Zealand’s earliest steam-powered warships, is well under way. 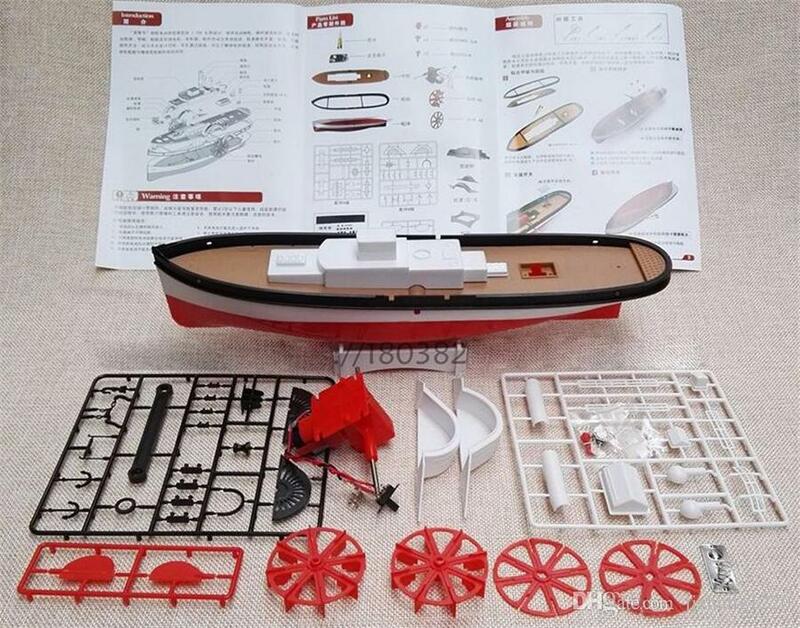 As mentioned in my previous posting, the basis for this model is a Chinese plastic toy, which has given me the hull, paddle wheels and parts of the superstucture. I cut the hull along the waterline, and constructed a new bridge with an armoured steering position between the paddle-boxes. 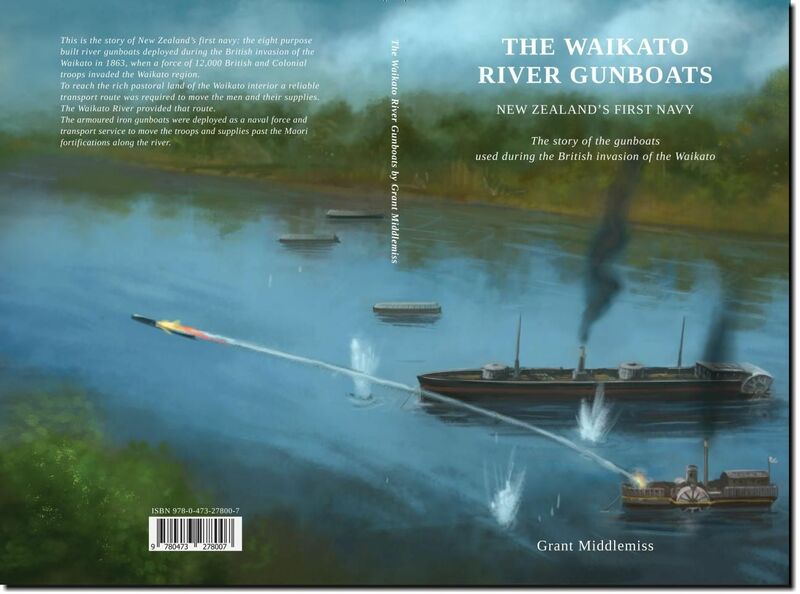 I also added the iron panels along the forward deck that the real ‘Avon’ carried during the 1860s campaign along the Waikato and Waipa Rivers. Still to come is a Armstrong gun and the steering wheel, both being 3D-printed for me by Printable Scenery. I also plan to build the large loop-holed wooden deckhouse for the aft deck, as depicted by the late Harry Duncan in Middlemiss’s book The Waikato River Gunboats. That leaves one remaining problem – what figures to use to crew ‘Avon’? It would be good to have a sailor at the wheel, an officer on the bridge, and maybe a sailor or two on the deck. Anyone know of some good 25-28mm Victorian-era ship’s crew models? Another awesome project! Looks great. I look forward to hearing about its first engagement. Thanks, Lemuel. I think it was a posting on your blog from a few years ago where I fist learned about the flotilla on the Waikato. So thanks for inspiring me! Thanks, Nobby. I’ll add these to the list to check out. Thanks, Mark – it is a rather enjoyable project. Those officers include some nice ones, especially the one in the long coat. But unfortunately this range lack some ordinary crew members doing crewy things! But thanks for the suggestion. That looks great. How was the conversion to waterline? I have tied this before with a plastic kit, and it was incredibly difficult with bending and flexing of the hull. Very nice job on the conversion! You might want to look at the Naval Brigade crews that go along with a number of colonial lines. The crwews for Gatling guns might work. Thanks James. The best suggestion I’ve had so far is from Foundry, which look as if they’ll do the job. Thanks, Ian – I’ll check these out too. Thanks, Michael. Not bad, but a bit too active for what I want. I just want them conning the boat along the river, not fighting or firing. I’m now thinking of the Foundry ones from their Crimean War range. RAFM Miniatures has some naval officers and sailors in their American Civil War line. I would also know what tools you used to waterline the model. And, can you please share the diameter measurement of the wheels. I have my own steam boat conversion the requires paddle wheels. Lovely job, by the way. You really sweat the details! Hi Nick. I just used a fine hand saw. It was easier than I expected, as I just needed to follow the existing line between the white and red sections. The paddle wheels are just under 5cms in diameter. Thanks for the compliments, too. Brilliant project, will be watching! Pulp miniatures do a whole range of sailor types on deck. Top stuff Roly. Only gun and crew to go. How do you envisage using the model…naval fire support, landing ops, ‘gun running’ past a Moari battery or two?…your thoughts on the use of the model and possible scenarios would be interesting to hear.